You’re about to experience the trip of a lifetime. It’s a trip you might have saved your entire life to take. It’s a trip where you’ll want to see every detail. Soak up every movement. For that reason, you’re thinking about binoculars. Good for you! We don’t want you to miss anything. There’s so much to consider with binoculars. It takes a while to research and find a good pair. We have given you a guide on the things you’ll need to consider in your new field glasses. Important aspects of the binoculars like eye relief, field of view, and prisms. Not only have we explained the terms, we use them to make our recommendations. 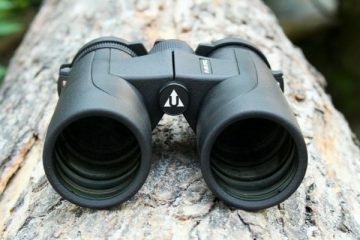 These are the top 5 binoculars for safari according to their features. They will be good specifically in your vacation environment. What Should You Know Before Buying the Best Safari Binoculars? 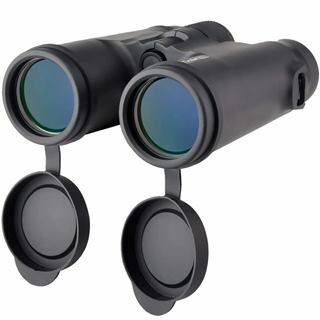 These binocs (binoculars) provide a magnification of 10. You’ll get a view times 10 of your subject. The diameter of the lens is 42 mm. That’s plenty of light coming into the binoculars. You’ll get large, bright images of your subject. The binoculars are water resistant with a durable rubber armor. The field of view is important for viewing animals at a distance. At 1000 yards, this set of binoculars is providing a span of 307 feet. That will be important for finding animals out in the brush. They’re not always strolling in full view. You’ll have to find them before you can get a close view. The eye relief is 18 mm. What that means is that you can hold your eye 18 mm away from the eyecups. At that distance, you’re going to be able to see perfectly. This leaves room for sunglasses. The eyecups will rotate, too. With these binoculars, you’re getting a few accessories and extras, too. There’s a carrying bag, eyepiece and lens cover, cleaning cloth, and neck strap. All those things are helpful on your safari trip. There’s also a smartphone adapter. The adapter is perfect for taking pictures. It’s also great for viewing a full screen view of the animal. These binoculars have so much going for them. 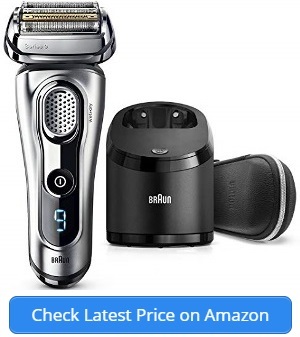 They’re mid-range on pricing, but have high-end features. Every feature you need on safari is in these binoculars. All kinds of accessories make it easy to carry these around with you until they’re needed. They won’t get broken, either. Along with the features mentioned above, there is a big focus wheel that’s easy to turn. You can keep your eye on the prize while bringing the focus in clearer. The field of view means you can be the one to find those big cats hiding in the brush. It’ll feel like you should be the tour guide. The bonus smartphone adapter is fantastic. It’s easy to attach when you want to capture your subject. You’ll have incredible photos to bring home to family and friends. It’s a great way to share your adventure with everyone. Smartphone adapter only works with some phone models. You’ll have to learn whether your phone is one that’s accepted. 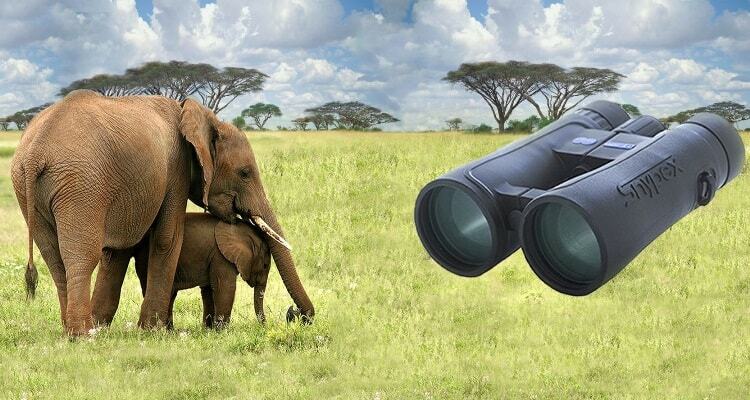 These binoculars from Wingspan Optics have many great features for your safari. They will enable you to see plenty of animals at a distance. They magnify up to 8x and has a lens diameter of 32 mm. The field of view is 362 feet at 1000 yards. You’ll easily see all the animals available to be viewed. The binoculars are lightweight and compact. They are only 15.2 ounces, so less than one pound. You’ll be able to hold these for as long as you want. They won’t give you arm fatigue. The dimensions are 4.5”L x 4.5”W x 1.75”H for those who want to imagine them in hand. 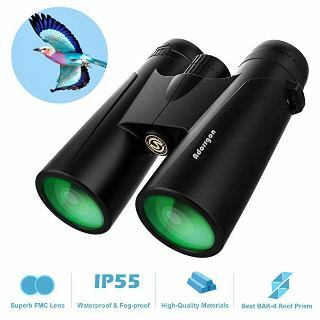 The housing and frame of these binoculars are very durable. The housing is made with very strong materials. The spot where you place your hands are actually textured. That texture is a sure-grip texture that will stop your hands from slipping. For a safari, you need waterproof and fog proof binocs. It can be humid in that environment. The field glasses are nitrogen filled. That stops any condensation from entering the interior of the device. It keeps them protected. These field glasses are compact and easy to hold in your hand. They won’t weigh you down at all. Still, while they’re compact, they are also substantial. They won’t feel cheap and light like some inexpensive binocs can. They have great features for viewing including the magnification. The twist-up eyecups and center wheel focus feels like they were made for safari. You don’t have to take your eyes off the horizon to narrow in on a subject. These are also tripod adaptable. In case your group stops, you’re able to relieve your arms and share views with others. It includes a neck strap and carrying case as well. That helps to protect it when not in use. The lens cover of these binoculars can slip if they aren’t snapped into place. It’s important to take the time to cover the lens properly. And that might take a moment or two. 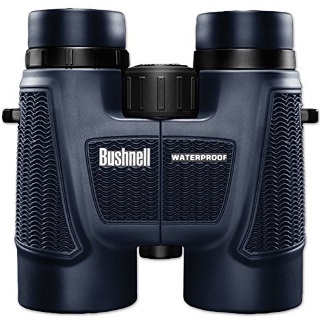 These are compact field glasses from Bushnell. They have a magnification of 10 with 42 mm lenses. The field of view is 305 feet at 1000 yards. That’s plenty of width to see animals at a distance. Scanning for wild animals will be natural and easy with these binocs. They are called H20 binoculars. That’s because they have features especially for waterproofing. There are purged with nitrogen to remove all oxygen. They are sealed with o-rings, too. No oxygen or moisture will get into these. That includes fog, too. Out in the sun, you’ll be wearing sunglasses. You don’t have to remove them to use these field glasses. You can scan the view with your sunglasses. No need to remove them when you see an animal. The eye relief on these binocs is 17mm. While you’re scanning for hidden spotted cats, you can work the focus knob easily. You don’t have to remove your eyes from the view. The focus knob turns for adjustments. It’s large enough to turn while wearing gloves if needed. 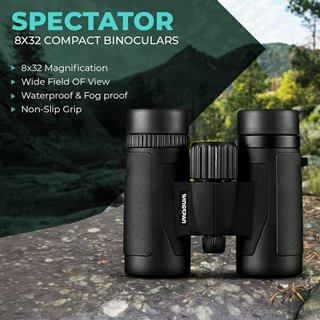 When it comes to compact binoculars, this binoc is a good selection. The clarity of these is pretty high definition. You’ll be able to count the spots on a leopard hiding on safari with these. With a 42 mm lens, you’re going to get plenty of light for good images. The housing is durable with textured grips on the sides. It’s rubber armor that can take a beating. They’re waterproof, too. That means if your hands are a little damp, it won’t hurt the binocs. A light rain won’t stop you from enjoying the view. A pair of compact binoculars at a mid-range price with high-end features. These are definitely great for your amazing once-in-a-lifetime adventure. The textured rubber on the sides can get uncomfortable. Holding the binocs for a long time can be a problem. These field glasses have 12 times magnification. That’s more than some of the others. You’ll be able to see an elephant’s tusks up close with this magnification. The lenses are 42 mm in diameter. The field of view at 1000 yards is 307 feet. You’ll be able to scan for animals looking across 300 feet of open land. These allow so much light in through the wide lenses. The prism has a lot to do with that, too. It’s a Bak4 prism with huge lenses and fully multi-coated. All of that adds up to more light and better images. They will be incredibly detailed – even in low light situations. Its body is very durable. It’s compact and has an anti-slip grip. You’ll be able to handle these anywhere without them falling. It has a durable rubber armor on the outside with a textured grip. It provides absorption for shocks when banged or dropped. These binocs are waterproof. The rubber armor doesn’t allow water to seep into the binoculars. They’re also fog proof. You don’t want them to fog when going from the air conditioning into the world. There are so many good things to marvel over with these binocs. They will be great for your trip. The lens is a huge diameter at 42 mm. That allows plenty of natural light into the binoculars. You need that light for great images. Rubber armored materials on the outside create a shell that can’t be broken. Carry these with you everywhere. While you’re buying them for safari, there’s no reason you can’t use them again. They will last for many years. 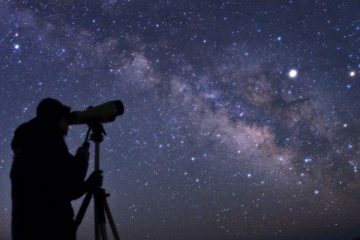 You’re able to view quite a wide field with these. You might even find animals before your guide can point them out to the group. That can make you feel like a safari expert. It’ll bring more enjoyment to an already exciting trip. There is no phone adapter to take pictures with these binoculars. But, it is possible to purchase one separately. These are compact binocs for anyone. They’re not ridiculously expensive, so everyone can enjoy them. You won’t hesitate to let a child hold them. Also, they’re made with durable materials that won’t break. They have notches in the housing that provide a sure grip. The magnification is 10x and the lens diameter is 25 mm. It’ll give you a field of view ranging 342 feet at 1000 yards. That’s a wide field of view and rivals some of the more expensive options. There won’t be any distortion at that distance, either. The eyecups are completely adjustable. 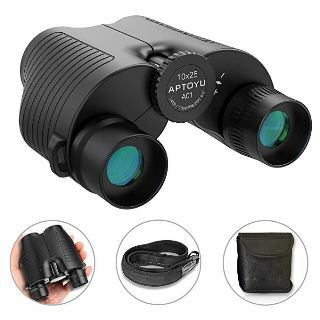 Anyone wearing glasses will find that they can easily use these binocs. This is especially true if they are outside wearing sunglasses. You won’t lose precious moments removing your glasses to see something in the distance. For clearer images, there’s no tint on the lenses. The glass is clear and free of anything that would alter the image. With tinted lenses, you’re not getting a true representation of the object. That won’t happen with these field glasses. These are truly compact binoculars. They are so small that they could fit into your pocket. The compact nature makes it easy to carry them around with you. You can pull them out when needed then stash them easily in your pocket. When heading out on your safari, you’re limited on the items and weight of things. These won’t add any substantial weight to your bags. That’s good since you’re carrying them. Also, it won’t increase your bag charge at the airport. Along with a great size and heft, there are great features. It’s waterproof and able to withstand any kind of abuse. It’s also fairly priced. You won’t be afraid to loan these to someone in your group. The eyecups don’t have a soft material like rubber. They’re hard, but you can still use them further away due to the eye relief. A trip on safari is a trip of a lifetime. You want to experience every animal up close and personal. These are wild animals that are dangerous if you get close physically. That means you need an incredible pair of binoculars for the trip. These are the features required to be named the best safari binoculars. Allowing a generous budget is going to give you the best features. The binoculars will have to provide basic features. They have to be compact and fit in your bag. They have to deliver clear, sharp images. They should also be light and able to travel easily. 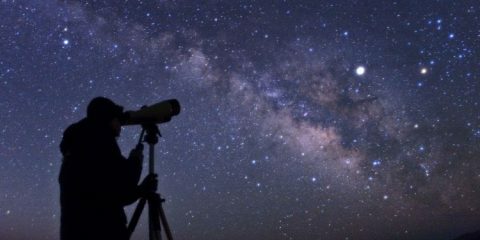 Magnification is vital to seeing animals from afar. For all the great features, you need to allow for paying a certain amount of money. Cheap binoculars won’t give you enough light for clear images. They can give distorted views that will ruin your vacation. The ideal weight and size will depend on you for the most part. Your binoculars should be comfortable in your hand. You’ll be holding them for a while as you look at the wild animals. They should be easy to lift to your eyes in case a swift gazelle crosses your path. You’ll want them to be close to 1 pound in weight. The size should be comfortable in your hand. They should be fine on a strap around your neck, too. They shouldn’t feel like they’re strangling you. How Much Magnification is Enough? This is probably what you’re asking yourself. High magnification isn’t always the answer. Too much zoom can actually make objects harder to see. There’s instability in the image you do see, too. High magnification means you’re getting a narrow field of view. Before you can see the mane of a lion, you have to find that lion hiding in the field. A magnification of 8 or 10 will give you a good field of view. It’ll also give you the ability to see the animal as if it’s nearby. What’s This About the Size of the Lens? The lens size influences how much light enters the binoculars. That’s as important as the magnification. The more light you have, the clearer the image. The colors are true when you have enough light when viewing. It’s the same concept as a camera. The lens widens for more light. With the binoculars, it’ll be open all the time for better images. It’s measured in millimeters. The magnification is listed first then the mm of the lens. If you stay around 32 mm at the minimum, that will be ideal. On your safari, the sun will be out and blazing. It could be incredibly humid. There might be flash rains. Without rain, it’ll be dusty. It’s an unpredictable kind of trip. For that, you’ll need features like waterproof or fog proof technology. With technology that protects against moisture. You won’t have to worry about condensation. That’s available in almost all the medium- to high-end binoculars. It’s vital for this kind of vacation. You’ll be in an environment with rough terrain. On a safari, you’ll be bouncing around in the back of an all-terrain vehicle. You might also be trekking through the wilderness. You might also be seeing historic outdoor landmarks. For the trip, the binoculars should have armored housing for all the places you’ll go. The protection is usually an armored rubber that will protect the interior. It prevents scratches, but also, provides shock absorption. It’s best to keep your binoculars from falling, but accidents happen. You don’t want to break the binoculars before the trip even starts. Out on safari in someplace like Africa, there will be plenty of sun. You’ll want to bring sunglasses, but what does that mean for viewing? It’s essential to consider the eye relief of the binoculars. That’s the distance you can still use the eyepieces. It’s usually meant for people with corrective lenses. It should definitely be a consideration when you’re going to a sunny location. Eye relief is the ideal distance between your eye and the ability to see through the binoculars. Too close or too far away – you won’t be able to see through the binoculars. We’ve covered many of the features you need for your safari vacation. Hopefully, this is a review and guide that will help you narrow down the choices. In fact, since these are our top picks, we’ve done all the work for you. These binoculars will get you up close and personal with an animal in the wild. It might be a lion or an elephant. Either way, you’re going to be able to check out all its details.